You know that awful yellow cast (or blue or green or orange, etc.) that makes an indoor photo look funky and the people in it appear like aliens? It’s called a color cast and White Balancing is how you correct it. 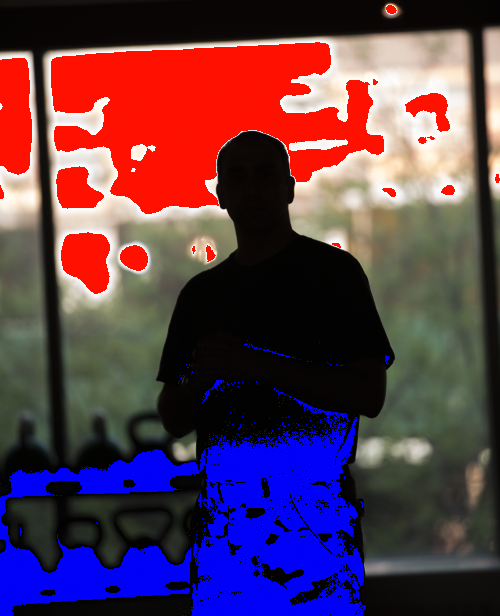 This color cast is caused by the quality of light in a room and how the white balance is set on your camera. The room could have fluorescent or incandescent lights (you have camera settings for these) or it could be a miserable mix of daylight, fluorescent and incandescent (sorry, no camera settings for the mix of all three) that leaves your photo looking blue, green or yellow or (gasp!) all three of those color casts in the same photo. And while you have a range of white balance settings on your camera (including an Auto setting), it doesn’t always get the color right. So what’s a photographer to do? The simple solution to neutralizing a photo’s color cast in Lightroom is by using the White Balance Selector, usually referred to as the eyedropper. It’s in the Basic panel, in the White Balance section, next to the WB, left of the Temp and Tint sliders. The eyedropper is designed specifically for correcting color cast fast! 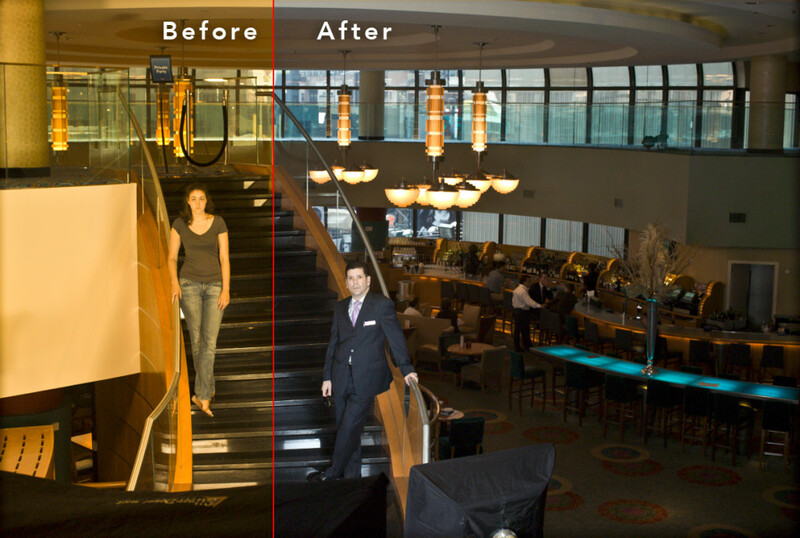 It’s not always perfect, but when you know what to do, it’s the best way to start correcting color in your photo. Select the Eyedropper by clicking on the icon in the White Balance section. Without clicking again, hover the tip of the Eyedropper on or near something by your main subject that is a best guess for a color that is supposed be “neutral.” (You’ll get an error message if you choose something close to 0% black or 100% white.) The target grid is actually the image under the eyedropper tip highly magnified. Look over your photo for a white shirt or handkerchief, gray pants, a gray wall, or a dull silver object (but not the highlight) in your photo. In a pinch, I’ve even used the target grid to find a neutral pixel on teeth or the white of an eye to white balance a photo! When you have the tip of the eyedropper over a neutral color, click once. 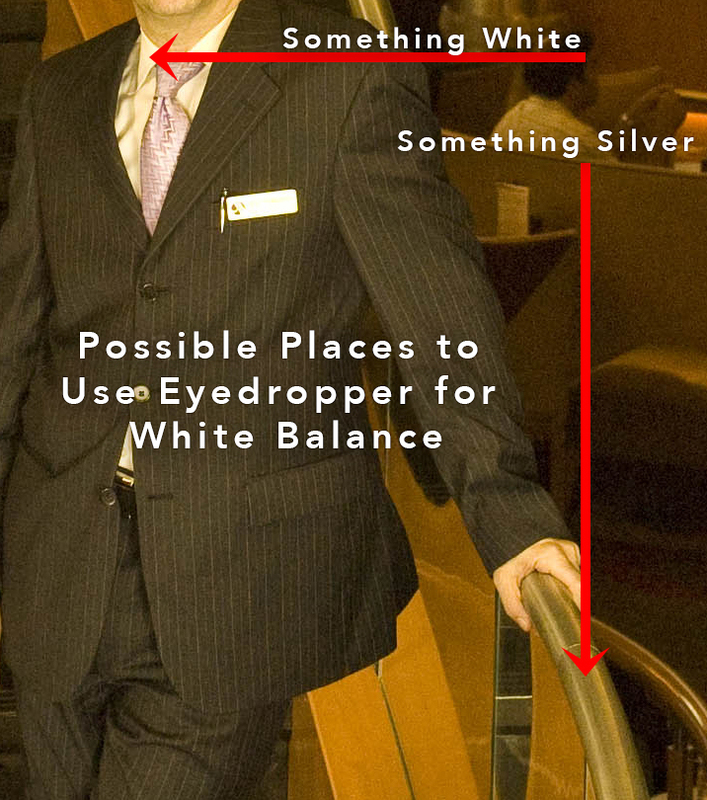 Clicking the eyedropper on or near your main subject should render better color and subject skin tones in your photo. 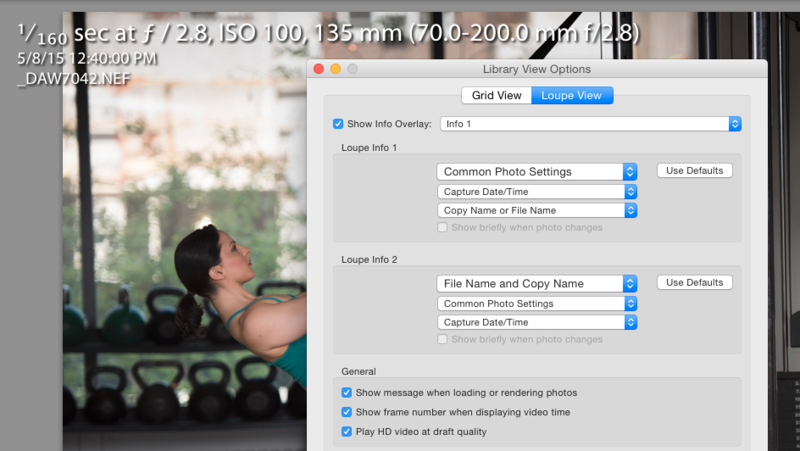 This eyedropper click in the right place tells Lightroom that these pixels shouldn’t really have any color at all. They should simply be “neutral” with no hint of color, and Lightroom adjusts the Temperature of entire photo based on your eyedropper’s selection. How do you read the eyedropper? Easy. Hover the tip of the eyedropper over the color you want to neutralize. 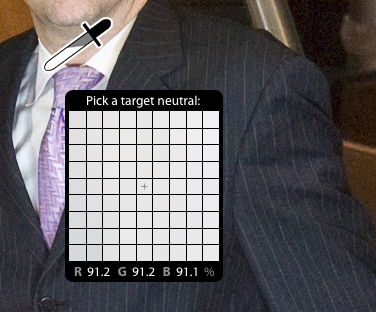 In the example to the left the eyedropper tip is over the shirt collar but I haven’t clicked yet because I want to read the numbers at the bottom of the target magnifier. The Red, Green and Blue values of R93.7% G89.4% B 71.4% make this white shirt yellow. These percentages would be nearly equal values if the shirt was neutral. Once I click on the collar, Lightroom will try to make those RGB values equal. That’s because equal amounts of Red, Green and Blue make a neutral tone without a color cast. For previews of white balance color changes, keep an eye on your Navigator window while hovering the eyedropper over different areas of your photo. After I click, the magnifier disappears and the color I clicked on should appear neutral with no color cast. This will be an overall color change to the photo and, depending upon the kind of light source(s) in your scene, it should render pleasing skin tones. If I want to check the color, I select the eyedropper again, never clicking, only hovering over the same place to see if my RGB values are equal. They are close. Remember, do not click this time. From these numbers I’m very close to a perfect neutral tone. Close is close enough. I tap the keyboard escape key (esc) to place the eyedropper back in it’s dock, turning it off. Or, you can just click in the eyedropper dock to put it back. That’s pretty much the basics of using the eyedropper in the White Balance section of the Basic panel. It won’t always work the first time, so click away until you find something that works for you. You’re letting the power of the Lightroom White Balance Selector do the color cast correction guesswork first. Now you can go and tweak your white balanced photo with the Temp and Tint sliders because you’ve got a good head start. Dragging your Temp slider left makes your photo more blue, while dragging the slider to the right makes it more yellow/red. The Tint slider fine tunes the colors – Green to Magenta – that are not part of the color temperature range. If you find the color cast getting worse, you can undo it by choosing the “White Balance: Custom” step in the History Panel on the Left of the Develop module. This is the name of the step where you used the eyedropper. After you’ve finished removing your color cast, I recommend continuing on to the next section of the Basic panel under White Balance, the Tone section. This where you should continue developing, with adjustments to exposure, highlights, shadows, etc. to further improve the details of your photo. I know this is a long post, but I wanted to reach all levels of Lightroom users. I created the chart below to clarify this process and give some context to the Temp slider. Color has a temperature. Not a temperature like the weather, but a temperature that is used to measure color and the numbers on the right indicate color quality from different times of day and different light sources. 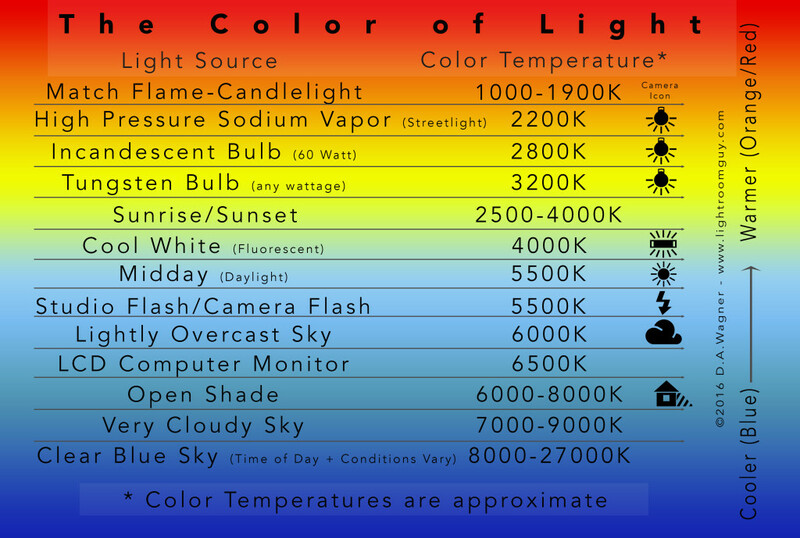 The settings on your camera relate to these color temperatures. And if you don’t care about this color temperature stuff. Fine. No problem! On this November 4th, I’ll be hosting the NYC Lightroom Meetup Group for an evening of color and printing with special guest Tom P. Ashe – “What You Should Know About Managing Color & Printing,” from 6-8PM at Tekserve at 119 West 23rd Street. 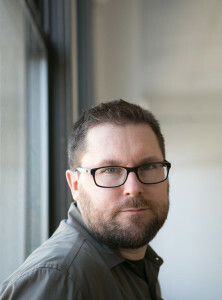 Tom has been teaching color management and digital printmaking as an adjunct professor at the School of Visual Arts (SVA) in NYC since 2003 and he is the author of the highly regarded book, “Color Management & Quality Output.” Yes, I know, that sounds daunting! But Tom is a top educator and he’s got an amazing knack for explaining printing and color management, even if you’re just starting out. So, don’t be intimidated! Also, Brooklyn’s own Adoramapix will be presenting their online printing services and paper samples, and how to get the best results from online print ordering. I’ve been using Adoramapix for years, they’re surprisingly reliable and affordable, and I recommend them to my students who order their prints online. And me? I’ll be covering some color correcting techniques using the Hue/Saturation/Luminance targeted adjustment tool and a few other tools that help with tweaking your photo’s colors into submission. So sign up to attend (it’s only 2 bucks!) and learn more about making your photographs look better and turning them into prints! 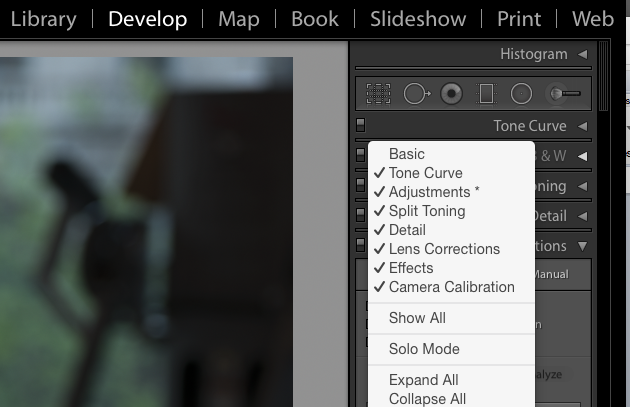 Right clicking – Mac or PC (or Control clicking on a Mac) on a photo in any Lightroom module, will almost always (there are a few exceptions where it doesn’t) call up a contextual menu window of options. But there’s something unexpected that can happen and it usually happens a few days after I teach a student about contextual menus. I get a distress call that the Lightroom Basic panel (or some other sub-panel) is missing and they’re sure it was there just a minute ago. This can happen when your cursor ends up over the main left or right side panels while right clicking. Then what you get is the contextual menu for hiding and revealing the sub-panels. In the screen capture above, I was too far right when I right clicked in the Develop module instead of over the photo. This brought up the hide/reveal list of sub-panels. Click somewhere over that list to try and close the contextual menu window and one of your sub-panels will usually disappear. Right click on any of the sub-panel names to return to the contextual menu window in the module where the sub-panel is missing. In the screen capture to the left, notice that the missing sub-panel in the list is unchecked. Simply click on the missing item. This will immediately close the window and return the missing panel. Should you accidentally call up this menu again at some point (it happens to everyone who uses contextual menus! ), instead of a random mouse click to close out the window, press the ESC (aka Escape) key of your keyboard (it’s on the top left). This will close the contextual window without clicking and you will avoid accidentally hiding a panel. 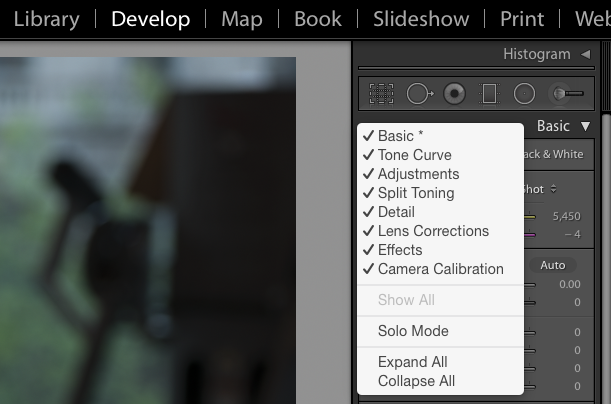 And, why does Lightroom have this contextual menu in the first place? It’s for hiding panels you don’t use or rarely use. However, it seems to me that, more often than not, you end up hiding a frequently used panel. What’s unique about the Lightroom 5 Adjustment tools, in contrast to the other panels in the Development module, is they all require you to tell Lightroom you’re done. Doing that is usually accomplished by clicking on the “Done” button, which closes the Adjustment tool window. But in Lightroom there are many ways to skin a cat and the Develop module’s local Adjustment tools located in the tool strip above the Basic Panel are no different. And sometimes a student will lose track of whether they are in an Adjustment tool or the Basic Panel because the settings of some of the Adjustment tools appear similar to the Basic Panel (see the animated graphic). Also when you select an Adjustment tool, the tool icon highlights and the Basic Panel moves down – sometimes so far that the Basic Panel is out of view, especially if you’re working on a laptop with a smaller screen. So, it’s important to close the Adjustment window before returning to using the other panels in the Development module. Using the following three tricks for closing the Adjustment tool window can save you valuable production time and, as always, you never have to worry about saving your work, it’s done automatically. That’s because as soon as you finish a local Adjustment (or anything else in the Develop module, whatever it is), Lightroom has saved it in the History – there’s nothing to do. Plus it’s always nondestructive. Simply clicking once on the tool icon you’re using closes the window. This applies to all the local Adjustment tools. It’s also important to note that if you’re happy with what you’ve done and you want to move on to a different Adjustment tool, don’t bother closing the tool window, just select another Adjustment tool and keep working. When you leave one Adjustment tool and select another, the new Adjustment tool window opens and the work you’ve done with the previous tool is already saved. NOTE: If you start to make changes in the Basic panel without closing an Adjustment tool window, that tool will continue to remain active. Note: Pressing the Enter key once with the other tools will only deselect the active pin; the second press closes the window. While in the Crop or Radial Filter tool, double clicking anywhere on the photo will close the window. Getting in the habit of closing the Adjustment tool window avoids mistakes and saves valuable time, and using these tricks speed your workflow along by not having to mouse down to the “Done” button every time you’re finished with an Adjustment tool. 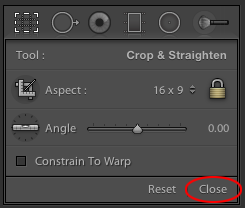 I’m not listing this as a trick, but clicking on the Close button at the bottom of the Crop Tool Window is another option to the Done button. Here’s a subtle, yet simple approach to gently pull your subject of interest visually forward while maintaining an “honest” result that doesn’t look manipulated using the Radial Filter and Post Crop Vignetting in Lightroom. When I think about what I’m going to do in Lightroom before I start working, I discover details I hadn’t noticed when I shot the picture in the first place. Doing this contributes to how I grow and see as a photographer and, in this video I demonstrate how to mark up a photo to note the changes I want to make before actually starting work in the Develop Module. I mark up the picture in Photoshop. However if you don’t have Photoshop simply print out a draft quality photo on your printer and mark it up using a red, black or white china marker. Read and watch more about the Radial Filter in my previous post here and my video about Sliders and Switches is here. Watch Julieanne Kost’s fine blog post on the Lightroom Effects Panel and her helpful, short blog post on removing lens vignetting before adding the Post Crop Vignette. Working in the Lightroom 5 Develop Module can often be an involved “give and take” process of trial and error. To speed your Lightroom workflow along it’s good to know how to reset Panel and Adjustment sliders quickly to their default settings or their zero positions. As simple as this sounds, it’s an effective time saving method of undoing settings, as well as using the “on/off” Panel switches to view before and after of any work you may have done in a particular Develop or Adjustment Panel.